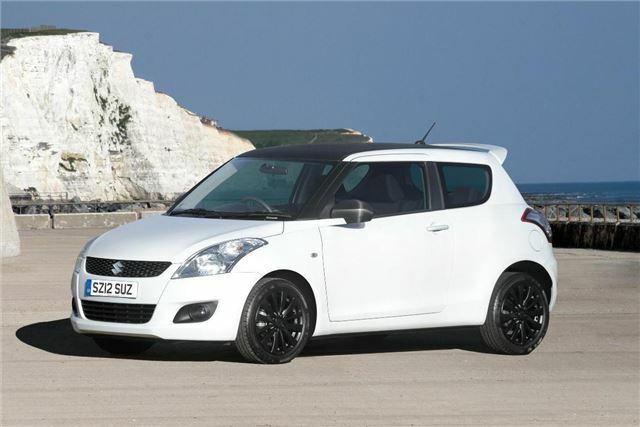 Suzuki has added a new limited edition ‘Attitude’ variant of the Swift hatchback. It’s based on the 1.2-litre petrol powered SZ3 version but benefits from sportier styling, and is priced from £10,750 for the three-door and £11,200 or the five-door. It shares the same standard equipment levels with the SZ3 trim, including air conditioning, USB connectivity, as well as additional styling touches like front fog lights and carbon-fibre effect roof vinyl, door mirrors and badges. There are also 16-inch alloys in black and a rear spoiler. Suzuki is aiming the Swift Attitude at younger buyers, because it offers sporty styling with the benefit of a fairly low insurance group (9E) and a low-rate personal contract purchase package. Buyers can pay a deposit of £1500, after which the car costs £179 per month over 43 months, with an optional final payment to keep the car. Other costs are fairly low, too, because the sprightly 1.2-litre engine delivers official economy of 56.5mpg and falls into VED band C, making it £30 a year to tax. The Swift Attitude goes on sale on April 2nd, priced from £10,750.